These steps are outlined in our marketing plan which can be accessed here. Utilizing strategies beyond just the Comparative Market Analysis to ensure accurate pricing is established. This is achieved through reviewing interest rates, availability of financing, overall inventory, and employing a wide range analysis of comparable markets. Standing out from your competition increases the perceived value of your home by making it show better, or simply different from the competition. "Standing out" is one of the most important steps you can take to attract the greatest amount of buyers to your home. Professional photography, SkyCam videography and staging recommendations are just a few of the ways in which we stand out from the average real estate team. Building on the principle of standing out, massive exposure seeks to represent the differences your home offers to the largest possible pool of qualified buyers in your market area. We tap into all of the major internet marketplaces, employ proprietary tactics in prospecting for potential buyers, and utilize professional copy writing strategies that make buyers want to see your home. In addition to our robust online marketing campaign, we also own REDDINGHOMES.COM, Redding's premier home search site! We know the importance of social networking in our marketplace and we have a plan that leverages the greatest amount of agents to sell your home. Facebook, Twitter, Google+, Blogger, Pinterest, Craigslist, YouTube, Instagram and the MLS are just a few of places we target to increase the exposure for your home. In addition, we know that 70% of homes are sold with the help of co-op agents. For this reason, we have developed a strategy that targets buyers who are already looking for homes similar to yours. Our team consists of full time trained professionals. Each team member has a detailed work description and daily schedule to follow. Imagine having 15 trained professionals all working together to get your home sold. This means instant responses to buyer inquires, client questions answered immediately, and continuous marketing strategies. Every process for the listing and sale of a home has been documented and optimized to bring you the highest price for your home in the shortest amount of time. Here's just a few of the ways we ensure your home stands out from the rest and sells FAST! We are always looking for new and exciting marketing tools to ensure we stay ahead of the curve. One such tool we utilize is aerial HD video with SkyCam. When a robust photo gallery and mass marketing isn't enough, the SkyCam is sure to fill the void and catch an eye. We are proud to introduce our exclusive marketing product 3D Showcase. Home buyers will create an immediate, lasting emotional connection to your property because they can experience it as if they were really there. Generate momentum like you wouldn’t believe before the first open house with a space-age tool that will captivate buyers. Virtual Staging is most commonly used for vacant houses. We will have our professional photographer take pictures of each room in the house. We then take these beautiful pictures and re-create them to include stylish home furniture pieces, eye-catching area rugs, and other art and decorative items. This "Make Over" helps home buyers imagine the potential of the vacant property as their future home. If you have looked at homes before then you know how hard it can be to imagine yourself in any given home. This is where virtual home staging can really be a major benefit. With 90% of home buyers starting their home search on the internet, It has become more important than ever to ensure your home is professionally photographed. We utilize the latest technology and techniques to ensure your home looks amazing to all potential home buyers. Utilizing Facebook, Google and Bing... We target market local and out-of-town buyers for your home by determining the geo-location of a website visitor. In addition, we deliver relevant content to the visitor based on his or her location, such as state, city, zip code, organization, IP address, ISP or other criteria. This cutting edge method of marketing allows us to expose your home to a targeted group of potential home buyers. Utilizing professional marketing pieces that people actually like to look at! To ensure maximum exposure these ads are distributed throughout every relevant real estate marketing avenue. 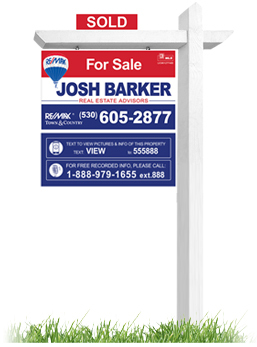 No home marketing strategy would be complete without the traditional “For Sale” sign. 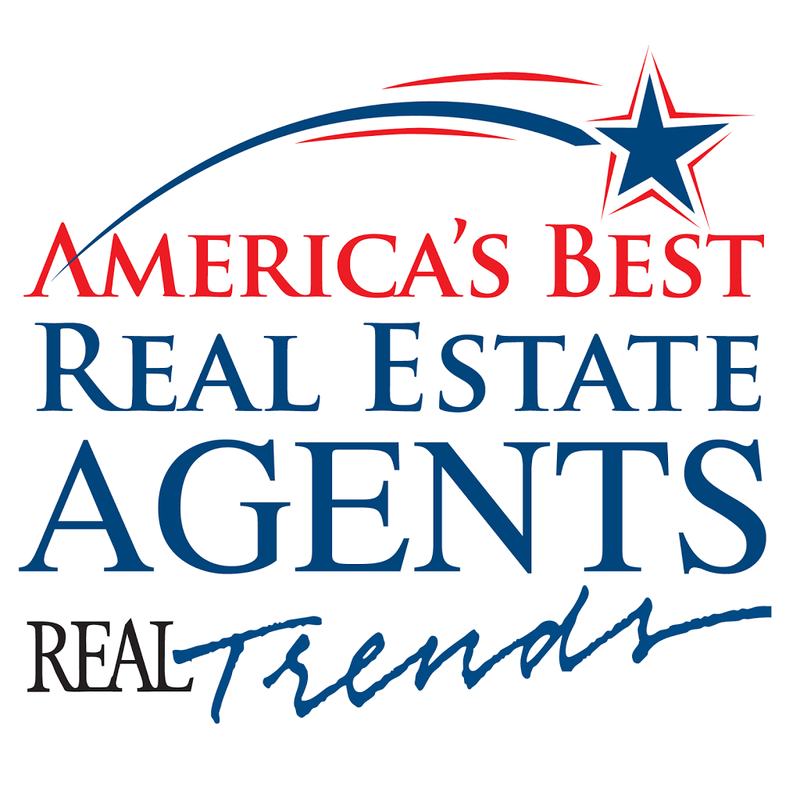 RE/MAX is the most recognized brand of all real estate franchises. Buyers feel a since of security seeing it and is the largest reason we are affiliated with RE/MAX. Of course we don’t stop there…on top of the real estate sign is a 1-800 number which provides detailed information about your home 24 hours a day. When a buyer calls the number, the caller hears a professionally recorded message. When the call takes place, our office captures the caller’s name and phone number. This call capture feature gives our sales team the opportunity to follow up and set an appointment. Since many home buyers prefer the convenience of Texting, our team has designed a system that offers instant access to the professional photos of your home and other detailed information. 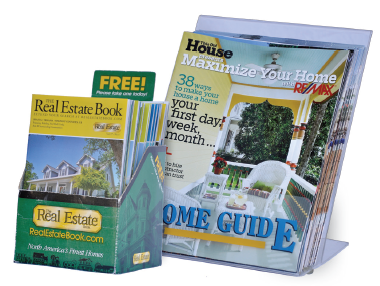 Print advertising is still being utilized by many people looking for new homes. To take advantage of this we have secured the front inside 2 pages of the local real estate magazine. This guarantees that you home is seen before anyone else. This magazine has a wide distribution covering all of Shasta, and Tehama counties, In addition, the magazine is national and any buyer can access a copy for free anywhere in the country. We utilize a very sophisticated set of marketing databases and management systems that has been proven to pinpoint potential buyers for homes that meet your specific criteria. As a result, our time is only spent prospecting the most relevant leads. This kind of precision marketing is the pinnacle of real estate marketing solutions. Josh Barker lists and sells more homes than any other agent in the Redding, California market with well over 700 homes sold in the past 12 months. Josh has been ranked in the top 5 of all agents in the RE/MAX network for the USA, and is ranked in the top 1% of all agents in the United States. What makes Josh different than other agents is his systematic approach to delivering value and service to clients. 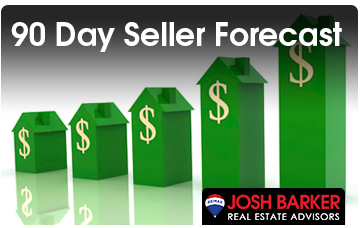 How Was Josh Barker's Home Selling System Created? Since 1999 we have been researching and developing systems that are proven to get positive results. We fly all over the country, meeting with other top real estate agents, looking for the newest and most innovative ways to get the results that sellers want. The best ideas for selling homes have been implemented in our marketing plan and have resulted in more than 3,500 homes sold in Shasta County. 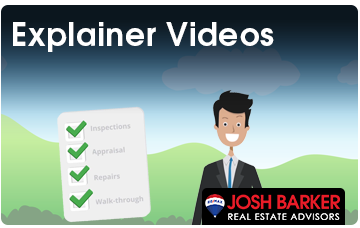 My wife and I were initially impressed with Josh’s enthusiasm, communication skills and professional demeanor when we were interviewing realtors. After we contracted with Josh, it became immediately obvious he was a dedicated professional. His guidance and advice along with his attention to detail and unceasing communication throughout the listing/selling process made for an excellent experience. If you are looking for a GREAT Real Estate Team who will happily go the extra ten miles for you, do not hesitate to contact Josh! We would expect any real estate agent to sell our home; what was unexpected was all the extra help Josh and his team gave us, including when buying our new home. 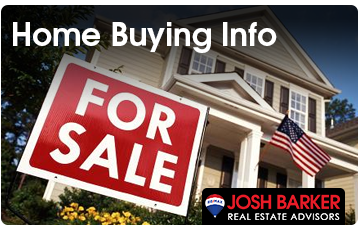 -David M.
The Josh Barker RE/MAX team communicated very well with us during the entire transaction. They answered questions promptly and accurately. They anticipated and circumvented problems effectively. 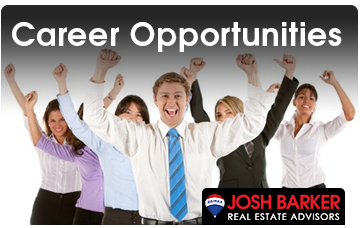 If you want professional and competent service, then the Josh Barker team is for you. Thank you! -Tim and Cindy S.
Josh and his staff were absolutely wonderful through our whole experience of selling our home. He listened to our needs and offered great advice. When you call the office, the staff is so friendly and helpful. -Rob and Patty W.
Josh and his team did a fine job in selling our rental property. Daily contact kept us well informed of any activity on the house. The whole process was smooth. This was not the first time Josh has sold a house for us. We look forward to the next! -Tim and Claire T.
Josh and his team sold our Redding home in just two days! The team were incredible from start to finish, ensuring that the process was smooth throughout, despite a couple of stumbling blocks when the buyers had financial setbacks. After Josh came and interviewed us and we agreed to list with him, everything kicked into high gear. The photographer came out, installed the sign, took pictures (and listened to my suggestions - I'm a photographer); the listing appeared on Zillow and the MLS; we had showings within hours of the listing; we got a near full price offer and away we went! Inspections and tests happened in short order, the Barker Team recommended contractors for needed repairs and also recommended movers for our relocation north and helped with myriad small details. All in all, I can't say enough good about this team. If you need to buy or sell property, these are the people to use. -Paul and Barbara Y.
Josh and his office were excellent!! We closed escrow on time and got everything we wanted out of the house. Very knowledgeable and friendly staff and was always there any time i had concerns or questions. Would absolutely recommend to anyone I know. 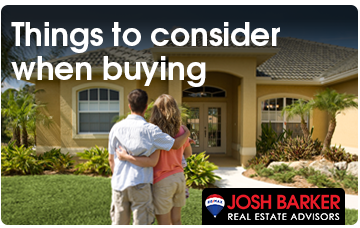 - John L.
Josh has helped me with numerous Real Estate transactions. I can honestly say, that Josh is in a league of his own. Josh's proactive marketing plan, market knowledge, and negotiation skills always succeeds my expectations. I know that I can always count on Josh to get the job done, therefore I will always be recommending Josh to my family and friends! Thank you, Josh for another 10 star experience! - Chris A. We were very happy with the service and knowledge that Josh Barker and his team brought to the table in our real estate negotiations. We are confident that with out Josh we would have paid significantly more for the property, would not have been as well informed regarding the property and then tenants therein, and that this would have been a different transaction all together. Even after the close of escrow Josh and his team have continued to help us out with questions to the former owner. We heartily recommend Josh for all of our real estate needs. Josh came highly recommended and it was clear right away that he has a high level of expertise and professionalism in his field. He was very attentive to our needs, detail oriented and knows the local market quite well. His online strategy of showing our home and getting the most quality views possible was definitely encouraging and exciting! He has assembled a quality, friendly and professional staff who helped make our home selling experience an easy and smooth one. There is no doubt that we will be using Josh and his tea for our future real estate ventures. It was a joy to work with them! !- Paul M.
To Josh Barker and his team, I cannot thank you enough for all your hard work and dedication in selling my home. 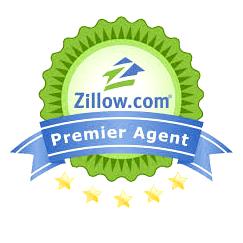 You and your team were professional, knowledgeable and responsive throughout the whole transaction. Josh, I always felt you had my best interest at heart and you made a potentially difficult process extremely easy. From start to finish the service I received was nothing short of excellent. I will definitely be referring anyone I know looking to buy or sell a home because you are without a doubt the best realtor I know!